Long-term radon tests, like our RSKS Alpha Track Radon Detector, are recommended by Health Canada because they provide a more accurate representation of annual radon concentration. Long-term tests are performed for a minimum of 90, days usually during the winter when houses are sealed up and radon concentrations are at their highest. The long-term test will yield results comparable to the 200 Bq/m3 yearly exposure guideline set by Health Canada to help you determine if there is a need to mitigate. One C-NRPP certified Alpha Track Radon Detector. Pre-addressed return labels can be purchased with the test kit for an additional fee. Short-term tests, like our E-Perm® System radon detector, are performed over the course of few days, with the E-Perm® System requiring 2-10 days. Short-term tests are a great preliminary test for real estate transactions as they can be used to get an immediate radon level in a building. While Health Canada recommends a long-term radon test to determine the need to mitigate, a short-term test can help you make an early determination if an extremely high radon level is found. 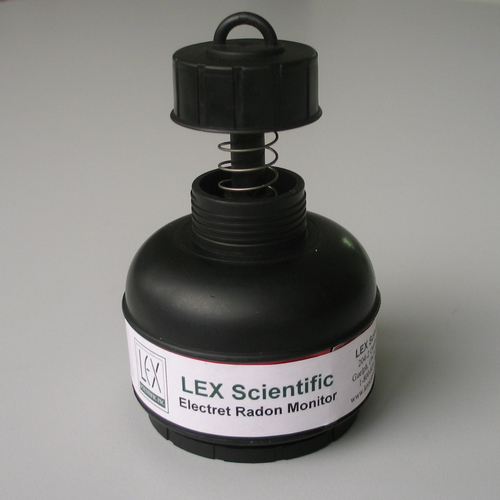 One E-Perm® Electret Ion Chamber Short-Term Radon Detector. 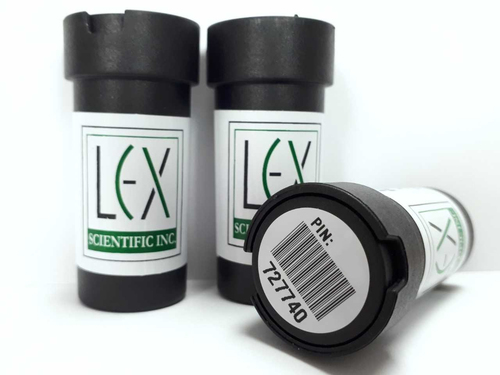 LEX Scientific is an independent Canadian National Proficiency Program (C-NRPP) certified analytical laboratory for the analysis of radon detectors (certification number C-NRPP/PNCR-C# CAL 201537). OUR E-COMMERCE PLATFORM IS UNDER CONSTRUCTION. PLEASE CONTACT US TO PLACE AN ORDER AND COME BACK SOON!